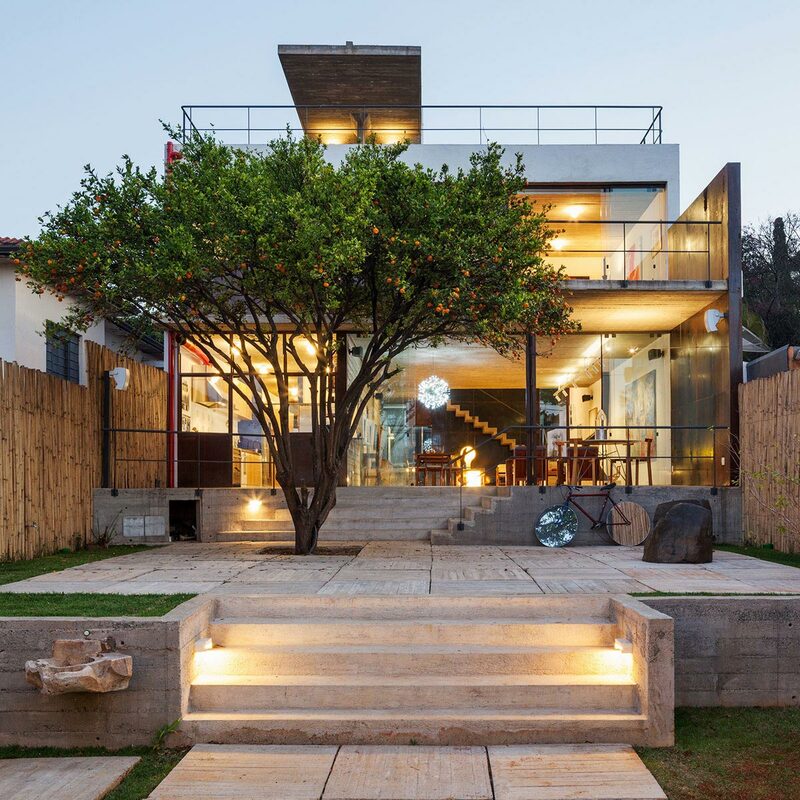 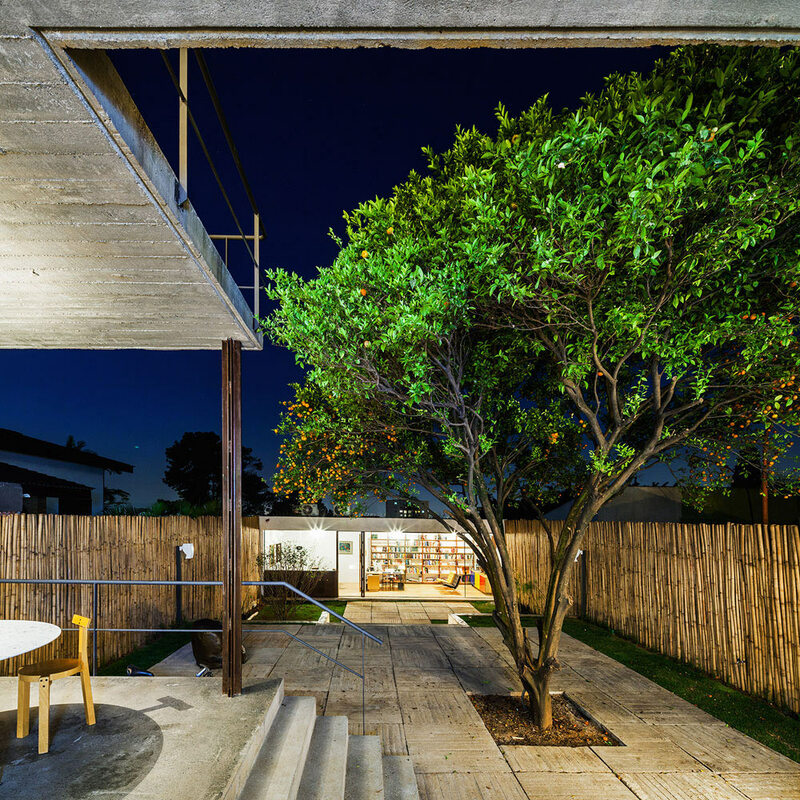 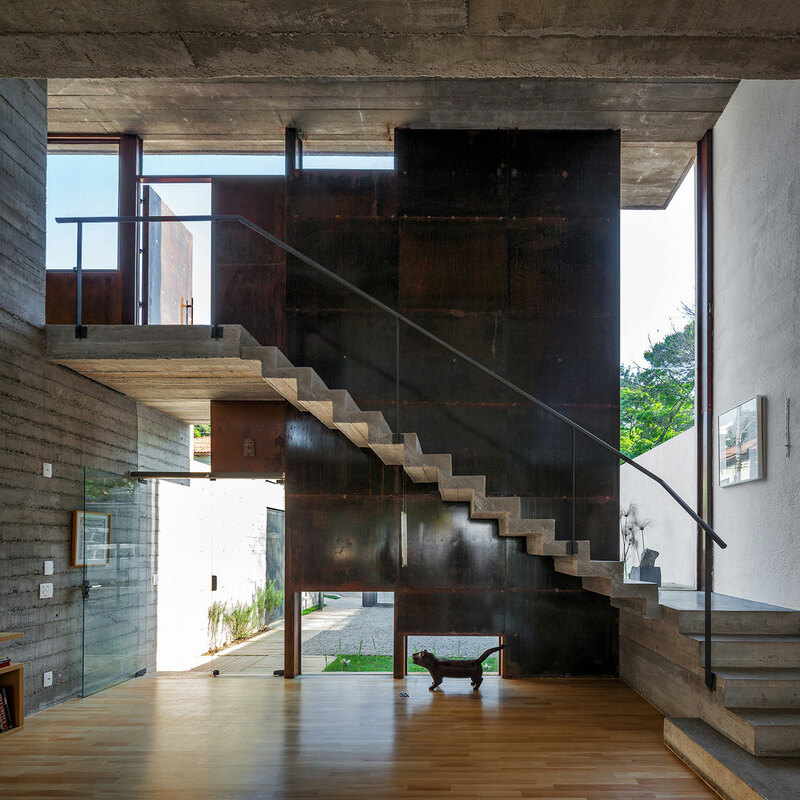 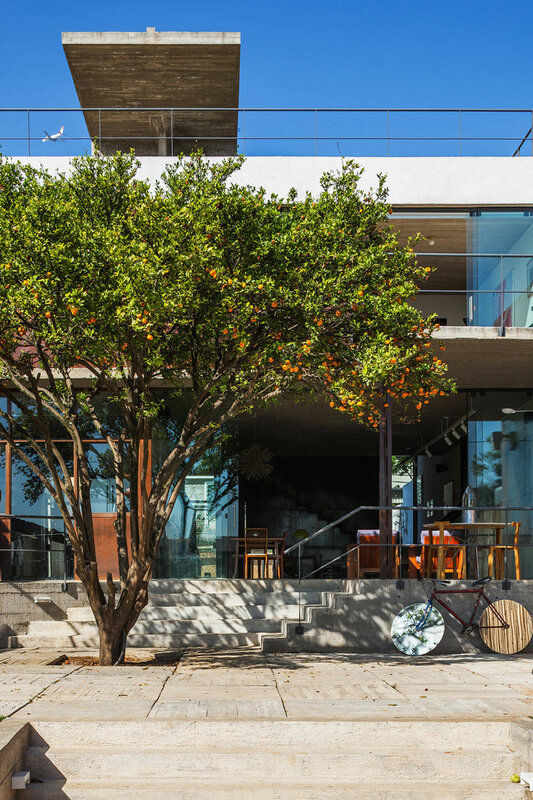 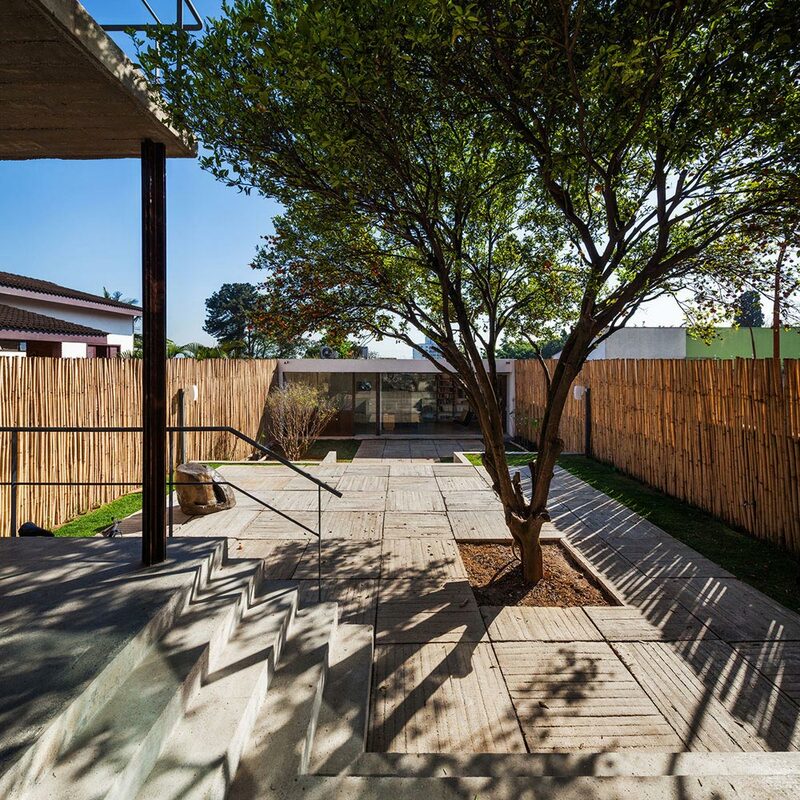 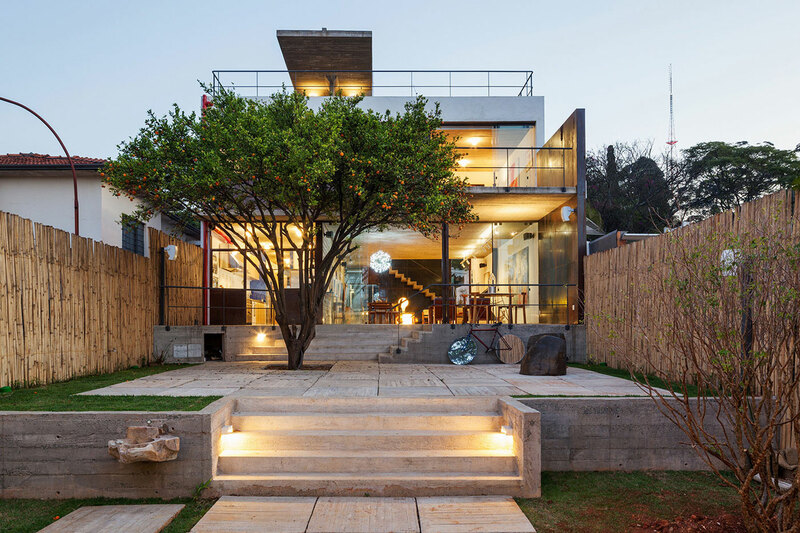 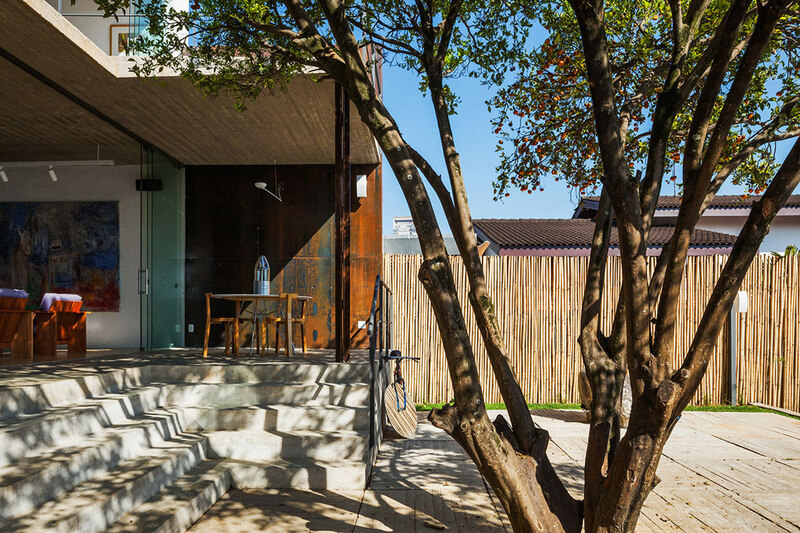 Pepiguari House was completed in 2013 by Brasil Arquitetura. 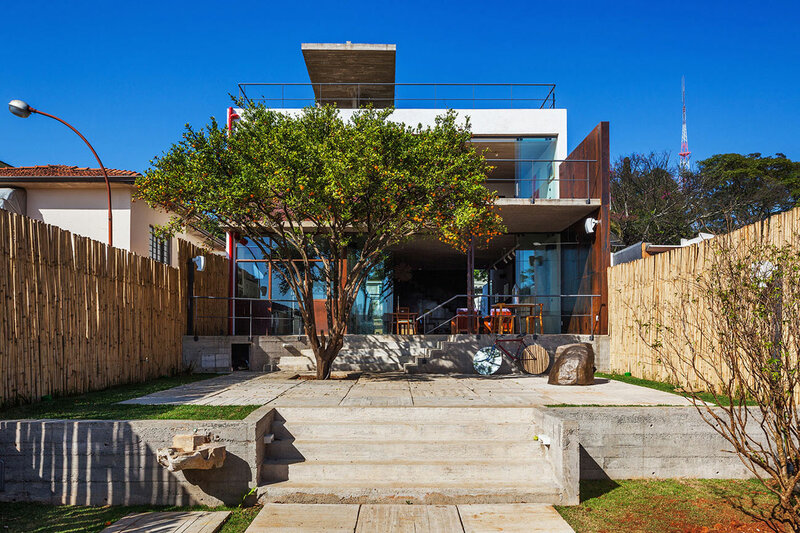 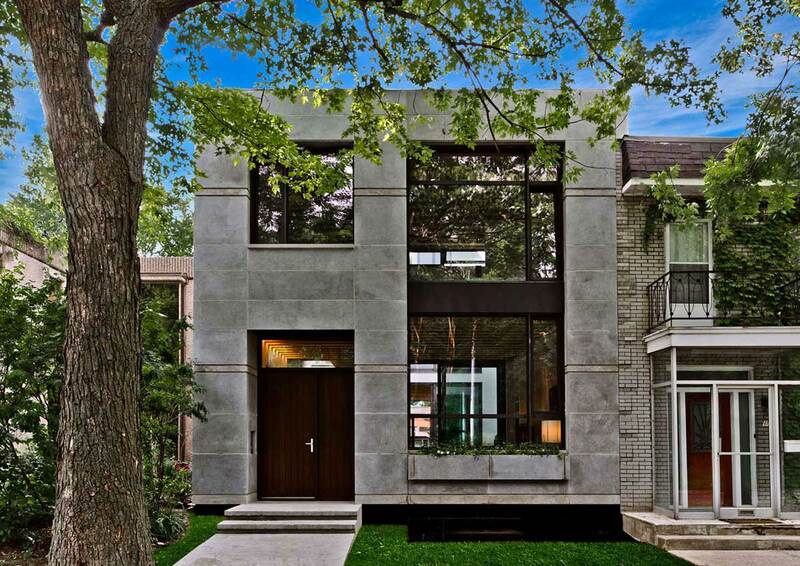 This stylish 3,175 square foot contemporary home has been constructed with concrete, the distinct exterior uses Corten steel and glass. 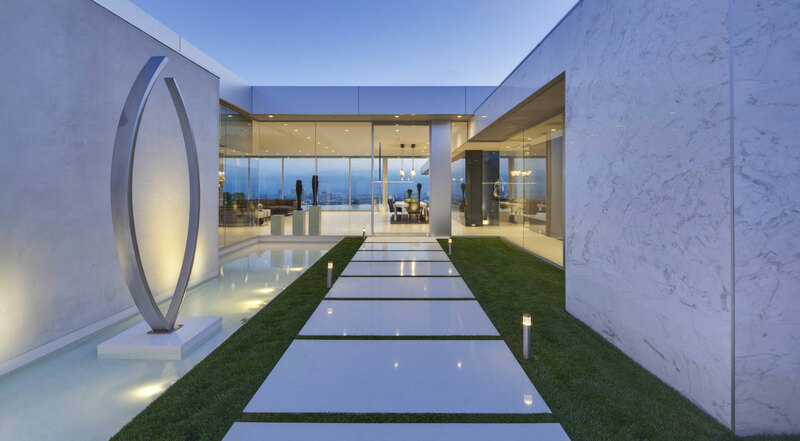 A large rooftop terrace provides wonderful views of the city. 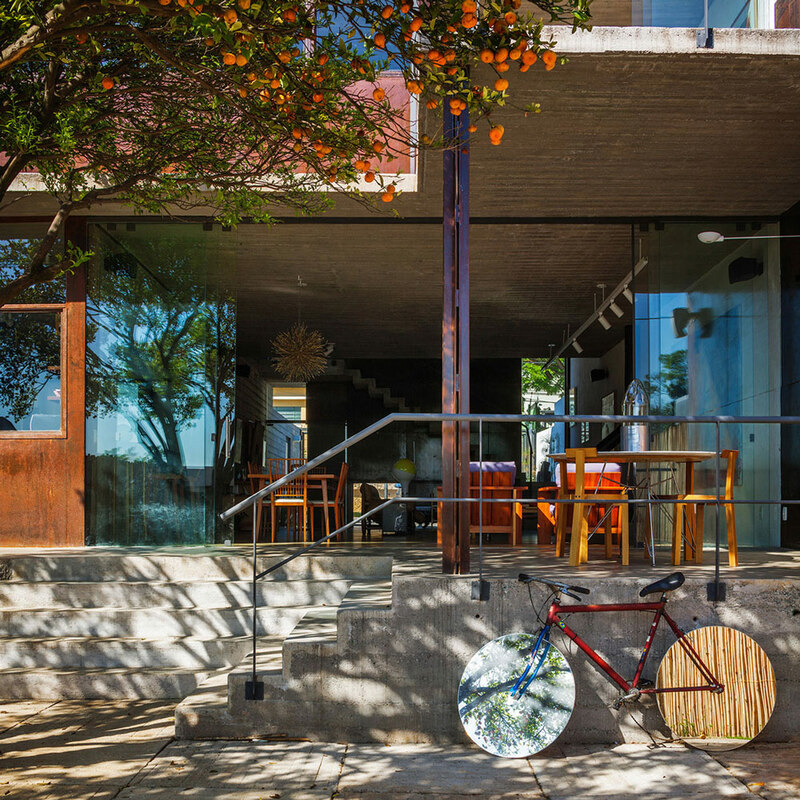 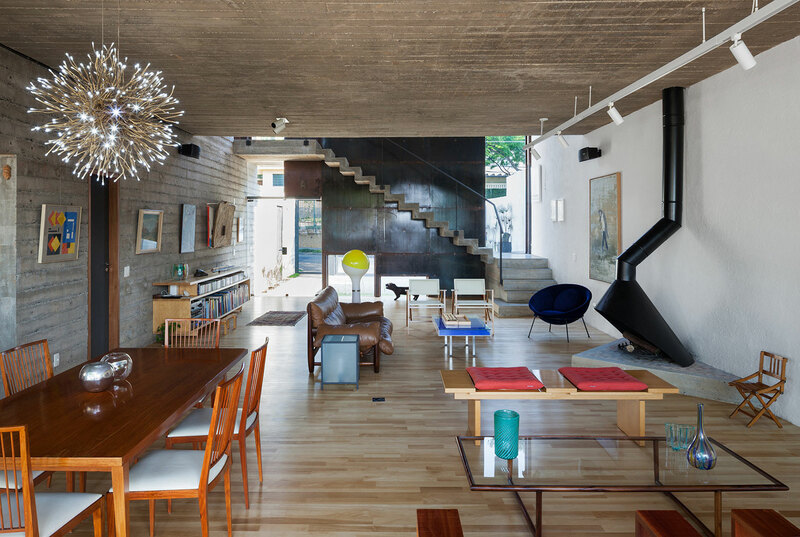 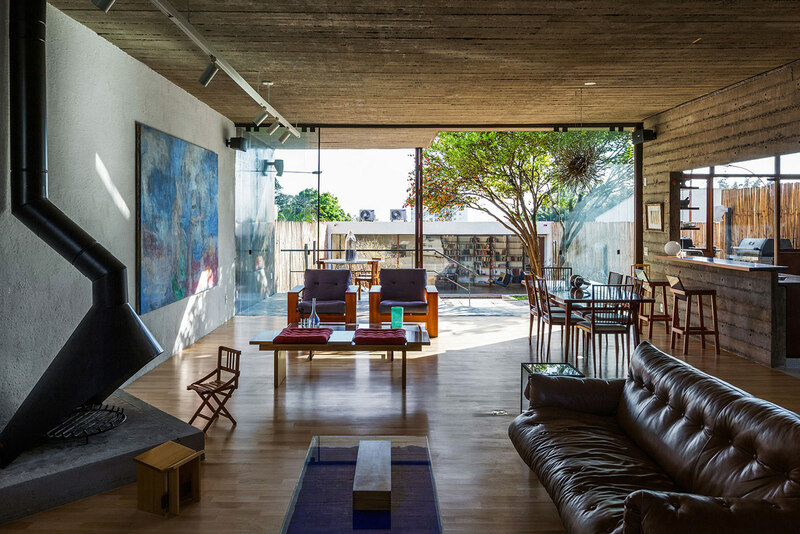 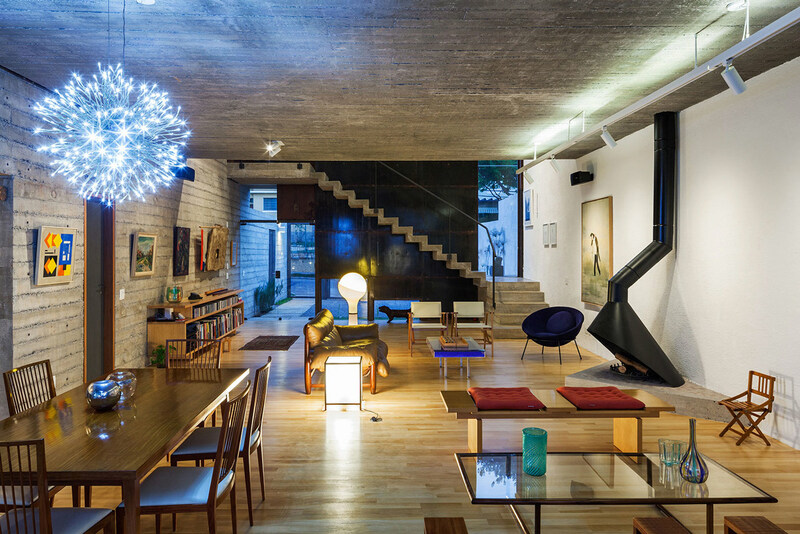 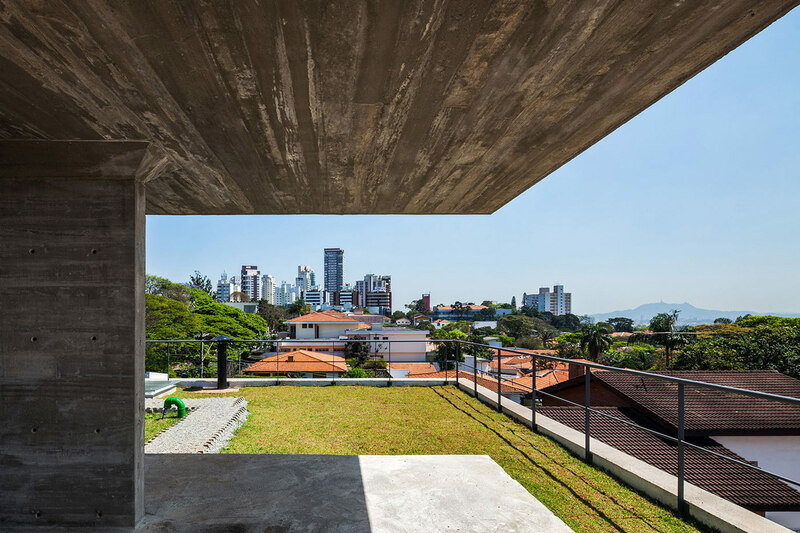 Pepiguari House is located in São Paulo, Brazil. 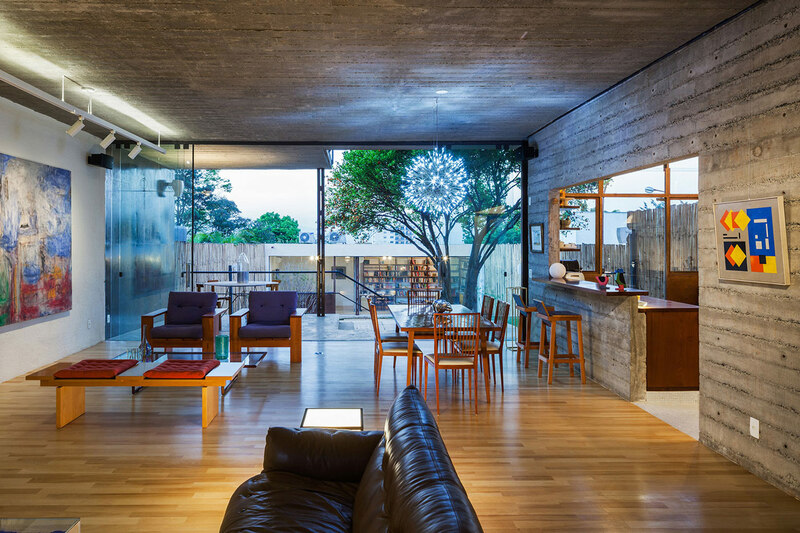 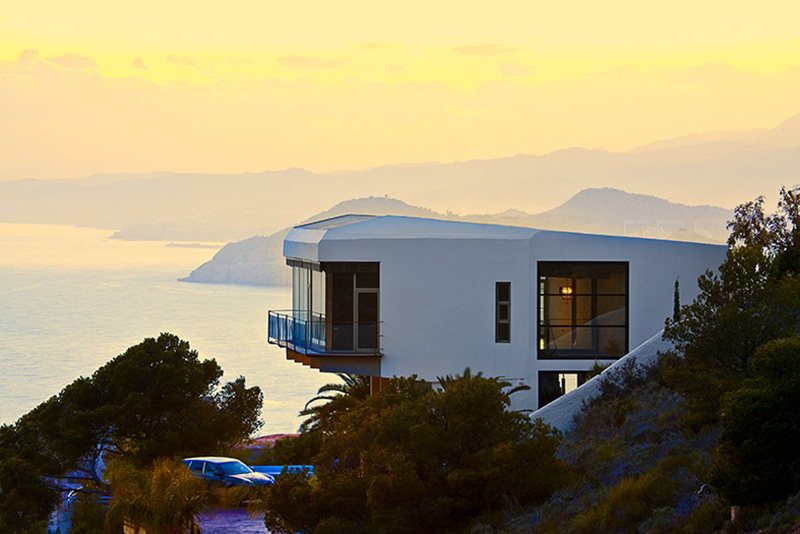 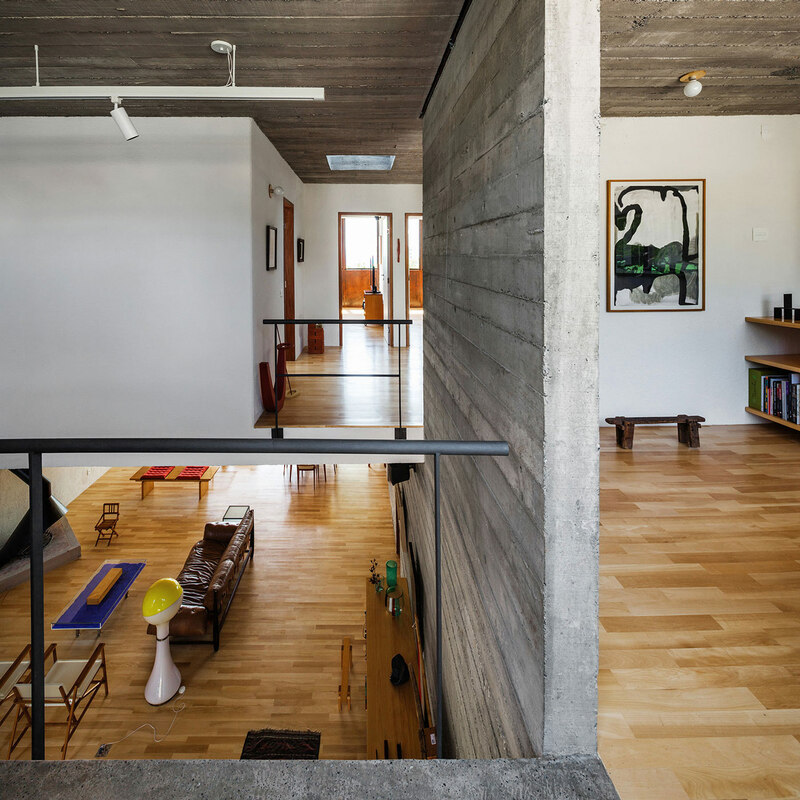 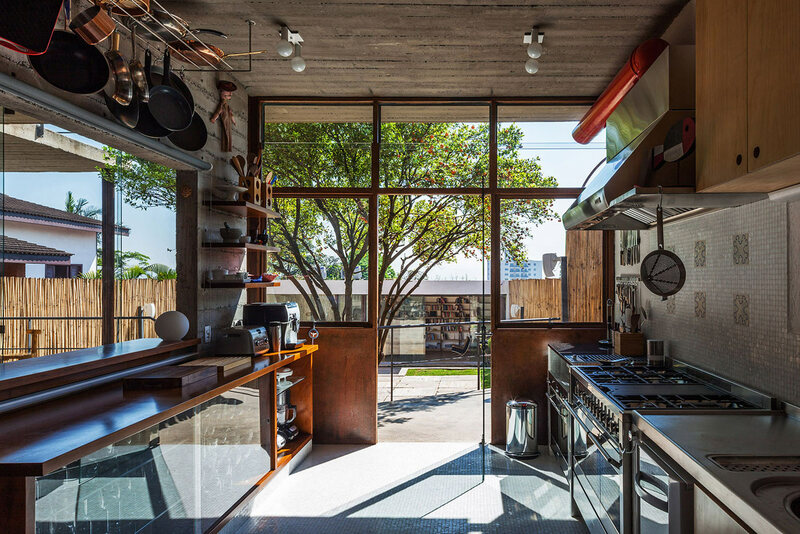 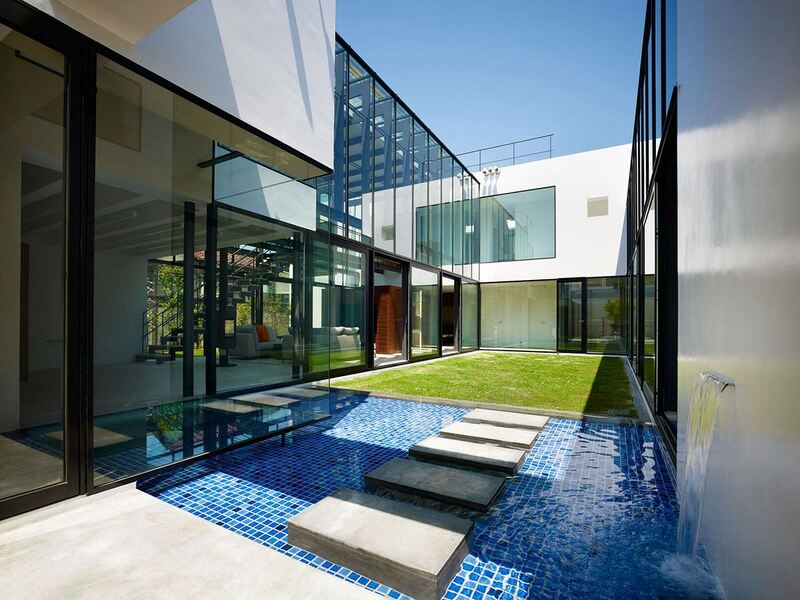 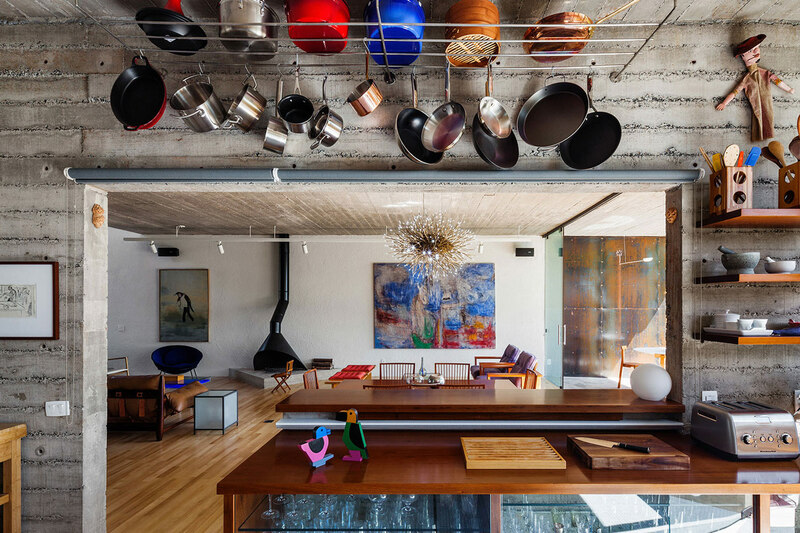 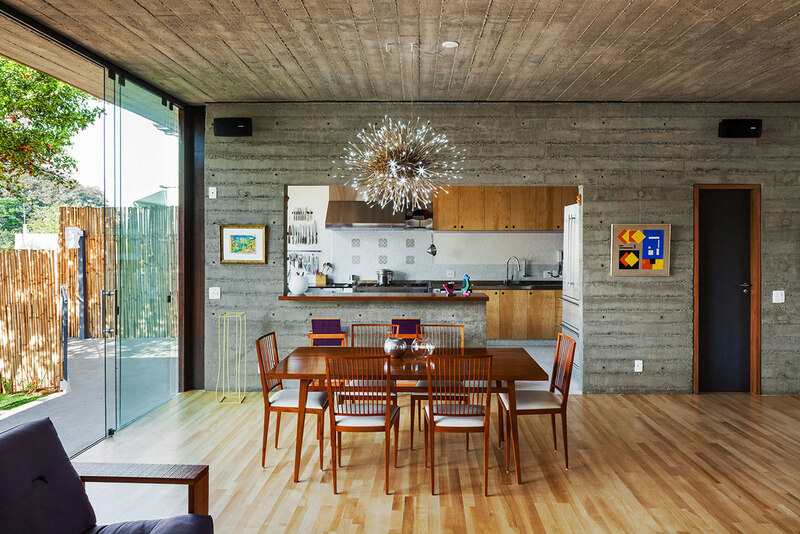 “This house is characterized by its rational organization of the space. 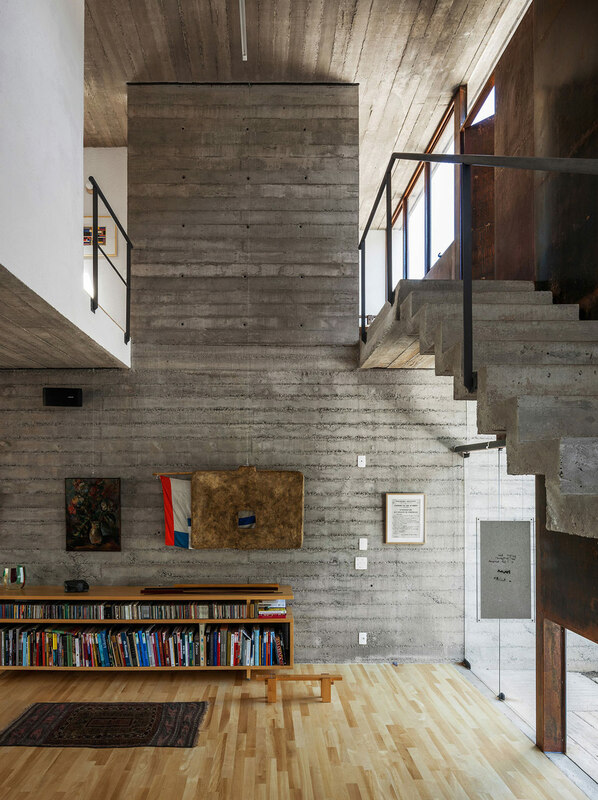 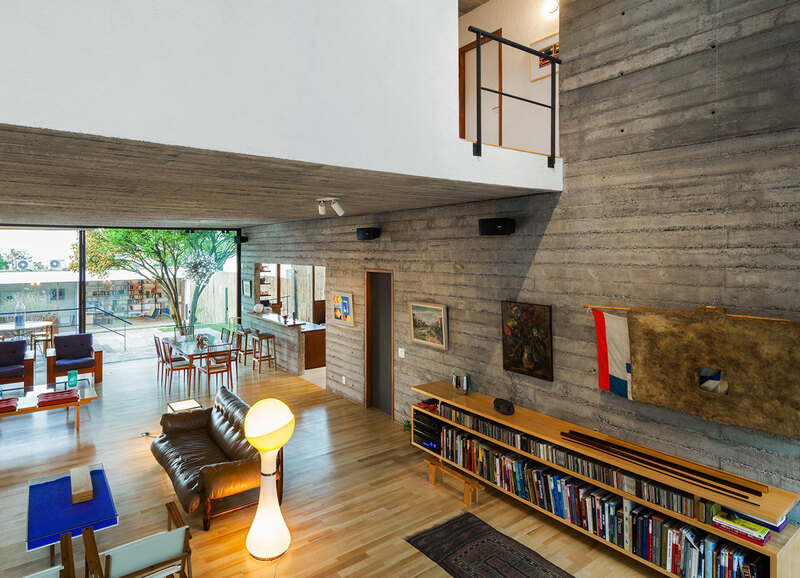 It is structured by a concrete wall that cuts along the volume, separating the service side from the social side of the house. 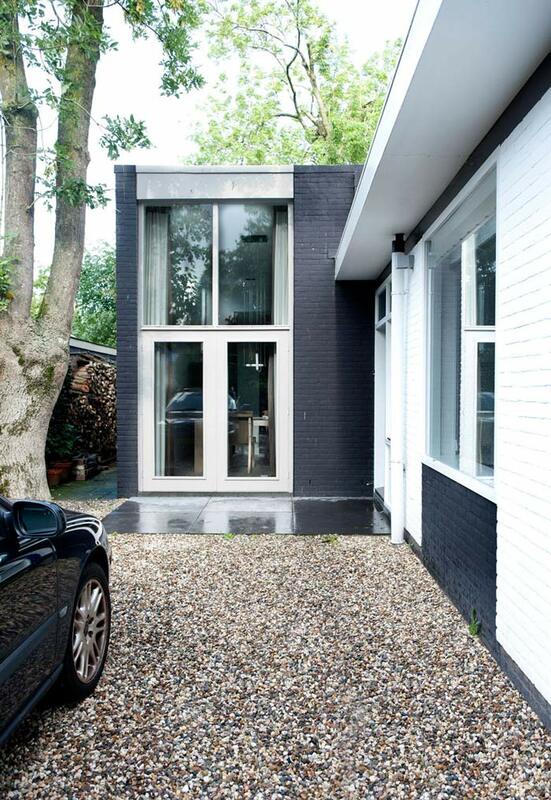 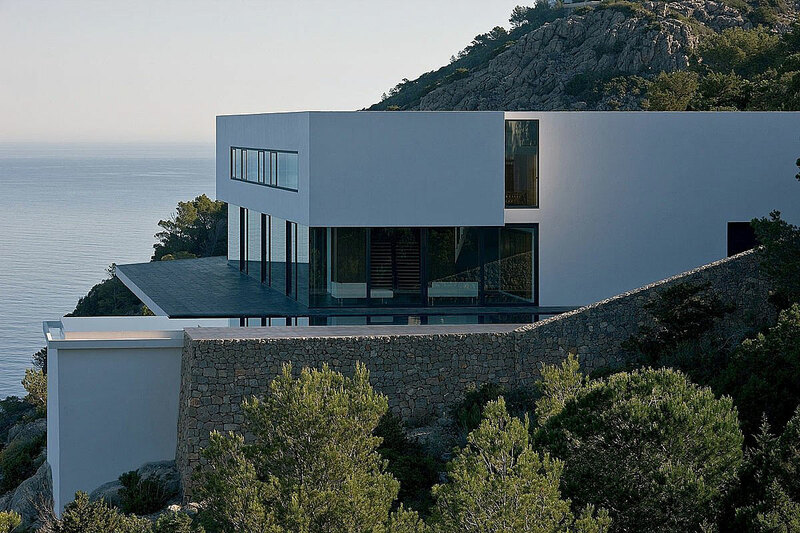 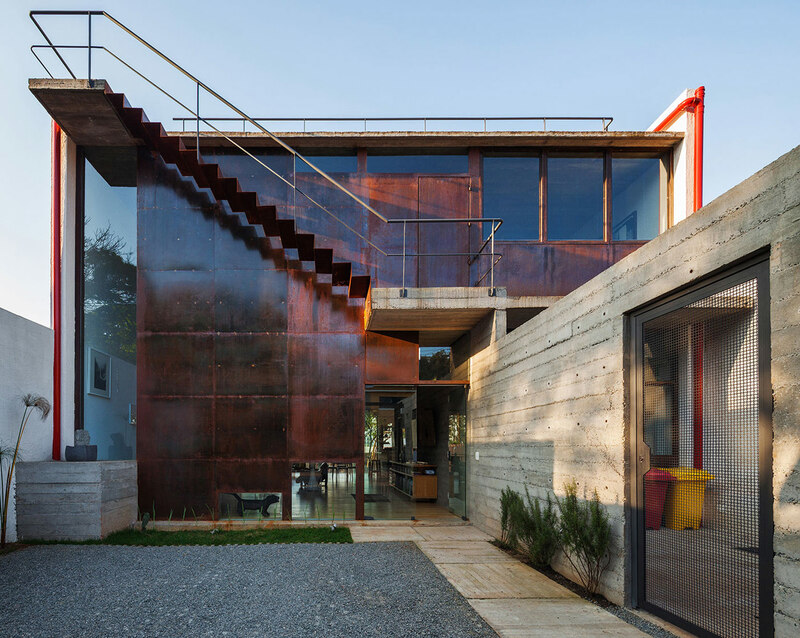 All the window and door frames which connect the interior to the exterior are made of corten steel and glass.